Steamboat Geyser has erupted for the seventh time since March 2018, continuing to surprise scientists and observers. This is the fourth eruption in May 2018. 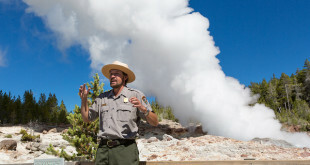 Overnight, Steamboat Geyser in Yellowstone National Park erupted for the fifth time this year.